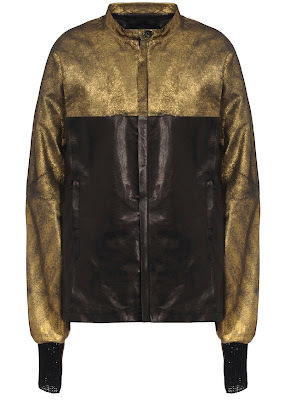 Damir Doma’s Leather Jacket ($2,685) gives any casual outfit a little something extra. This leather jacket has a gold top and black bottom, placing these two colors together offers a sleek look for any night in the city. The jacket also features a zipper closure, two side pockets, and woven cuffs.